One Brevard professor uses his passion for numbers to connect with students. Brad Bilsky, Assistant Professor of Business and Organizational Leadership at Brevard College, spent his Pennsylvanian childhood trading baseball cards with friends; comparing the shifting prices of each card and tracking the batting averages for their favorite players. This early love for numbers led him to stay true and close to his roots by obtaining a degree in economics at the University of Pittsburgh. After graduation, Brad spent a few months in Las Vegas, trying his hand at poker and blackjack. Before Brad knew it, he was competing in the World Series of Poker outside of teaching. While becoming a card shark, Brad was fascinated with finance, so he took a job with Bank of America in Charlotte, NC. It didn’t take him long to realize that the banking industry wasn’t the best fit. That realization led Brad back to school for his Masters in Economics at the University of Tennessee and eventually brought him to Brevard College. 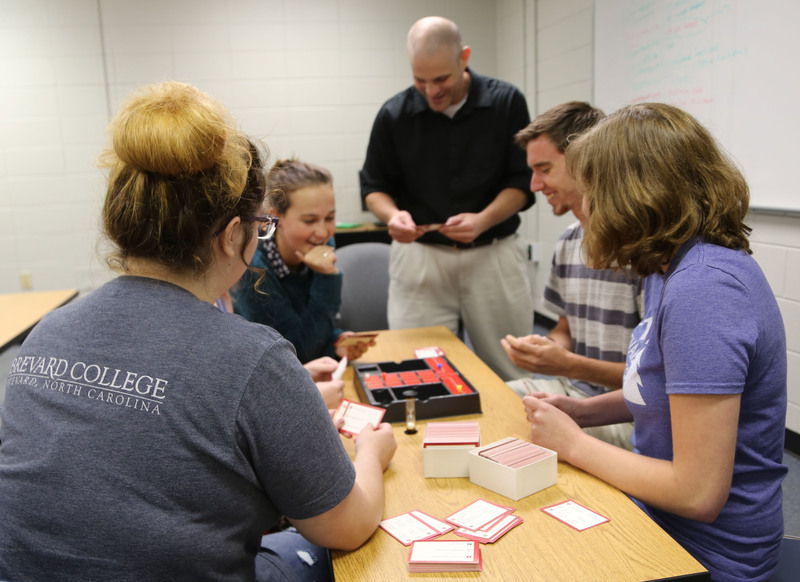 In the classroom, Brad brings in real-world experiential activities to help students understand aspects in business and economics, like introducing supply and demand with a board game. “Not only do I think it’s great for students, it’s fun, it’s active experiential learning, but I enjoy it too. If it puts a smile on your face when you go into work, that’s a good thing.” Brad ended the interview with those words, perfectly summarizing the philosophy many of the faculty have here at Brevard College. A professor’s passion about what they are teaching is a contagious thing and is a big influence on how engaged students are during their time here and after they graduate from Brevard College. They make it their mission to help students learn about the world through memorable experiences and meaningful interactions.